ISLAMABAD: Prime Minister Imran Khan, while addressing a ceremony marking completion of first 100 days of his government on Thursday, said they tried to benefit the common man from their policies. 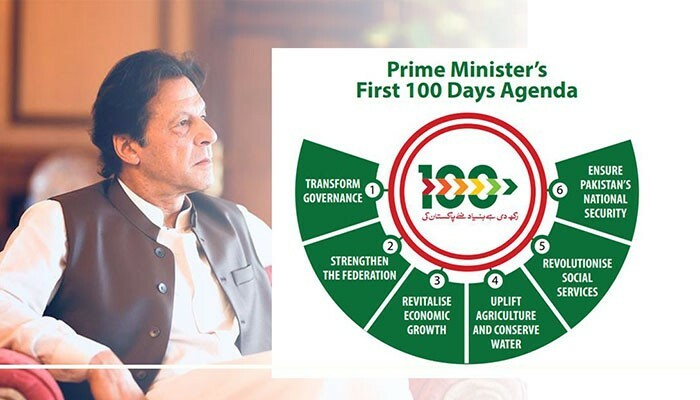 The prime minister took the nation into confidence regarding PTI's 100 days in power at the ceremony held at Jinnah Convention Centre in Islamabad. During his address, Khan credited his wife, Bushra Bibi, for the performance of his government in first 100 days as he took only one day off during this entire period. He said his wife supported him in difficult times. He said they tried to benefit the common man from their policies in the first three months. The prime minister said the same reason was behind friendship with India as it will help increase trade between the two countries. The prime minister said this was the first government which was laying hands on money launderers, adding that Pakistanis have $11 billion in 26 foreign countries. He said they were not provided account details of Pakistani individuals with Iqamas (employment contracts). "This should be clear now why the rulers were obtaining Iqamas." Khan said his government was trying to introduce a uniform curriculum across the county. "We planned how to bring children back to schools; we are bringing a complete plan for education." He said his government was trying to introduce an education system which could change the things. The premier said they formed a task force to fix government hospitals. "We are trying to improve condition of government hospitals through health reforms as well. But the hospital system is such that private sector cannot be competed with." He said the government, together with health reforms, was introducing health cards, regretting that a poor man's entire budget is spent on treatment of diseases. "We have decided that poor families across Pakistan will get health cards," Khan said. He said the government was also devising a system to alleviate poverty in the country. "My initial plan was to eradicate corruption," the premier said, noting that rich and prosperous countries didn't have corruption there. He described corruption as the very difference between prosperous and under-developed nations. "Congo has all kinds of diamonds and gemstones, while there is oil in Nigeria, yet they are poor countries," Khan explained. "We have lagged behind because of corruption." He said no other country would have the resources Pakistan had, but people have no idea of the scale on which the country was plundered. The prime minister said they were seeking details of accounts through which money was laundered abroad, dating back to before Panama Papers leaks. 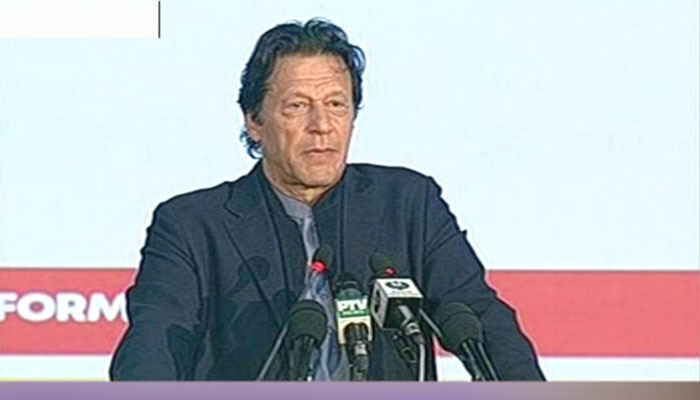 "We recovered lands worth Rs350 billion of CDA from land mafia in Islamabad," Khan said, adding that the government launched an anti-encroachment drive across the country. He said nearly 88,000 acres of lands was recovered from land mafia in Punjab. Khan said his government was taking action against electricity theft in the country. He said one of the reasons behind increase in power tariff was electricity theft. "So far, 6000 FIRs have been lodged against pilferers involved in massive theft of power." The premier said every year Rs85 billion were lost to power thefts in Pakistan. "This is the first time action is being taken over electricity pilferage. The details of thefts are coming forth which is why the democracy is threatened for a few individuals." He said his government was now establishing a shelter home in Rawalpindi, while a place for it has also been marked in Islamabad. Khan said they had given Rs5 billion to Akhuwat Foundation — a non-government organisation (NGO) that provides loans to poor people on easy installments. He said the NGO will provide interest-free loans to needy people. "We are introducing a programme for farmers in order to alleviate poerty in rural areas," the prime minister said, adding that it was the state's responsibility to look after weak people. He said the investors in Malaysia wanted to invest in Halal meat, adding that the government will give targetted subsidy to small farmers. "Pakistan has no share in the world Halal meat market. We will give subsidy to farmers raising calves so that they may have their share in this market," Khan said. "We will provide machines to small farmers on lease and money for cattle farming." He noted that Pakistan had 1000-kilometre-long coastline, while prawn farming could be done in areas with water-logging. "As long as we do not have billions, we are to do the things which can be done without money," the prime minister said. PM Imran, who was the chief guest on the occasion, reviewed the performance of his government since it was voted into power in the July 28 election. The ceremony is being attended by all federal ministers, advisers and PTI workers. 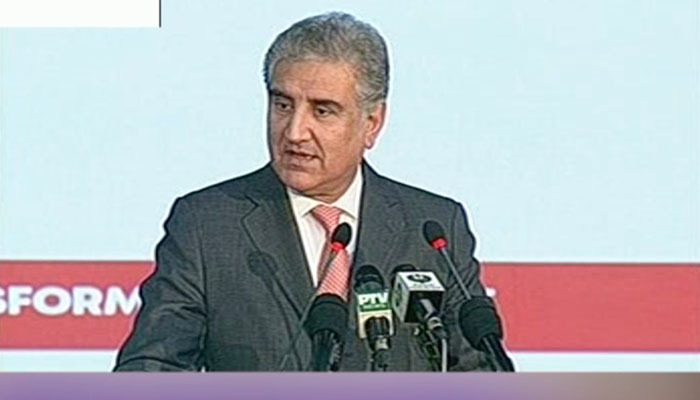 Foreign Minister Shah Mehmood Qureshi also addressed the gathering where he said that the foreign office was more active than before. “In last five years, there was no one to present Pakistan’s stance before the world,” he said. Foreign policy’s priorities were carved out from scratch. Within 100 days, there have been 73 engagements. Pakistan’s first focus was Afghanistan. Decided to make first visit to Afghanistan. For future engagements, will consult former envoys. Peace in the region is among Pakistan’s needs. Peace is linked to wellbeing which in turn is crucial for investment. Ups and downs in relations with India is not hidden from anyone. 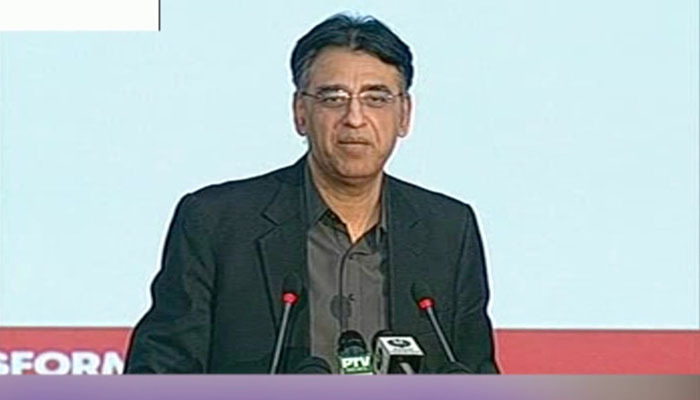 Finance Minister Asad Umar while addressing the ceremony, said: "if for the betterment of the nation the PM has to take a U-turn, then he will." "The prime minister had said that he would not have an international trip, but I forced him to take a U-Turn," said Umar. The external deficit of Rupees two billion has been reduced to half. Pakistan will not hide behind the International Monetary Fund (IMF). When PTI got into power, the budget deficit was $2300 billion. The government ascertained the direction within the initial 100 days. Will give widows of steel mills retired employees their due share. In the previous government’s tenure, there was a loss of $9 billion in three months’ time. Will create space for Rs6,000 billion investment. Within five years, will give employment to 100 million youths. Will constitute programs against poverty, and to give employment. Earlier, Special aide to PM Shehzad Arbab was detailing the steps the government intends to take for improving economy, infrastructure, education and other areas. The PM’s special aide said that to overcome the water crisis, Diamer-Bhasha dams will be built upon emergency basis. He said that for the government will play a major role in the safeguard of water and food resources, adding that the 10 billion Tree Tsunami is a concrete plan for planting trees. Arbab said that the government will put forth its performance review twice a year. Earlier this week, the premier called an important meeting at his Bani Gala residence to review his ‘100-day plan’, where PTI ministers, divisions and ministries presented their reports related to the 100-day performance.